The early Polynesians brought sugar cane with them and demonstrated that it could be grown successfully in the islands. The first commercially-viable sugar plantation, Ladd and Co, was started at Kōloa on Kauai in 1835. Others followed, including on Maui. Under natural conditions, most surface water would flow to the ocean; instead, this water has been diverted and artificially applied to the plant-soil system, creating a net increase in ground-water recharge. Irrigation-enhanced recharge greatly affects the groundwater system in central Maui. Ground water is one of Hawai‘i’s most important natural resources. It is used for drinking water, irrigation, and domestic, commercial, and industrial needs. Ground water provides about 99% of Hawai‘i’s domestic water and about 50% of all freshwater used in the State. The period 1926–79 had the highest estimated recharge; irrigation rates during this period were at least 50% higher than in any other period considered. Prior to the early-1970s, about 190-million gallons per day (Mgal/d) of water diverted by East Maui ditches and 170-Mgal/d of groundwater withdrawn from shafts and wells was used to irrigate sugarcane fields in central Maui. Groundwater recharge concerns have gone from bad to worse. Overall irrigation rates have been steadily decreasing since the 1970s, when large-scale sugarcane plantations began a conversion from furrow to more efficient drip irrigation methods and a reduction in the amount of acreage dedicated to sugarcane production. Estimated recharge for central and west Maui declined 44% during the period 1979–2004. During this period, on the leeward (Lāhainā) side of West Maui Mountain, sugarcane cultivation ceased altogether. The period 2000–04 had the lowest estimated recharge; irrigation rates during this period were 46 percent lower than during 1926–79, and rainfall was the lowest of any period. The ‘Ïao aquifer system is the principal source of domestic water supply for the Island of Maui. Ground-water withdrawals from this aquifer system increased from less than 10-Mgal/d during 1970 to about 17-Mgal/d during 2005. So, there is concern surrounding declines in ground-water levels and an increase in the chloride concentration of water pumped from wells in the ‘Ïao aquifer system. Even before the contemplated, and later announced, closure of HC&S sugar cultivation, the State Water Commission designated ‘Īao as a groundwater management area because the 12-month moving average pumping withdrawals exceeded the Commission-established trigger. The effect of changes in irrigation-enhanced recharge was illustrated on a small scale in Wailua on Kauai, and the drying up of ‘Fern Grotto’ was the result. There, the Kapa‘a irrigation system was built in the 1920s to provide water for approximately 6,000 acres of land under sugar cane. Up until the sugar company closing, the lower portion has been fed by the Hanamaulu Ditch, which ended at ‘Reservoir 21,’ directly above Fern Grotto. The ferns began growing only after sugar was grown on the land 150 feet above the cave. Plantation workers built a catch basin for storm runoff that became known as Reservoir 21. Water from the reservoir percolated through the ground and came out on the roof and walls of the cave. The shutting down of the Hanamaulu Ditch has undoubtedly contributed or even was the principal cause of the drying up on the Fern Grotto. The lack of irrigation water caused the cliff-side ferns to dry up. A 9-month rejuvenation project involved creation of a second waterfall in the grotto and installation of solar panels to power pumps to bring water from the Wailua Reservoir to the Fern Grotto. Now, the Fern Grotto is back. Solutions in the central Maui isthmus, the principal source of domestic water supply for the Island of Maui, are not as simple. A century after Captain James Cook’s arrival in Hawaiʻi, sugar plantations started to dominate the landscape. Sugar changed the social fabric of Hawaii. Hawai`i’s economy turned toward sugar in the decades between 1860 and 1880. I was fortunate to have served as the Chair and Director of the Department of Land and Natural Resources and the Chair of the Water Commission, working on these and other related issues. Rank depended primarily upon blood; but of great importance was the conduct of life by which one could, by carelessness in preserving the kapu and in making proper marriages, lose caste and prerogatives under the severe discipline of the Aha-ali‘i (Council of Chiefs,) or could, through a royal marriage, raise the rank of one’s descendants upon the family line. The image, ‘Aha Ula’ by Brook Parker, represents the chiefly rank. Information here is primarily from Beckwith, Mookini and Yardley. Maui is the second largest of the Hawaiian Islands, and covers about 730 square miles. Maui consists of two separate volcanoes with a combining isthmus between the two. The Mauna Kahālāwai (West Maui Mountain) is probably the older of the two; Haleakala (East Maui) was last active about 1790, whereas activity on West Maui is wholly pre-historic. The West Maui Mountain’s highest peak, Puʻu Kukui, towers 5,788-feet; it is one of the wettest spots on earth (average yearly rainfall at the rain gage since 1928 is about 364-inches.) The rain carved out valleys on either side, one of these, ʻĪao Valley (“cloud supreme,”) has a narrow entrance facing toward Wailuku that opens into a much larger expanse in the back. For centuries, high chiefs and navigators from across the archipelago were buried in secret, difficult-to-access sites in the valley’s steep walls. For centuries, aliʻi (chiefs) were laid to rest in secret burial sites along the valley’s steep walls. The practice of burying aliʻi in the valley began in the eighth century and reportedly continued until 1736, with the burial of King Kekaulike. Commoners were not permitted into ʻĪao, except during the annual Makahiki festival, which was held on the grassy plateau above the Needle. 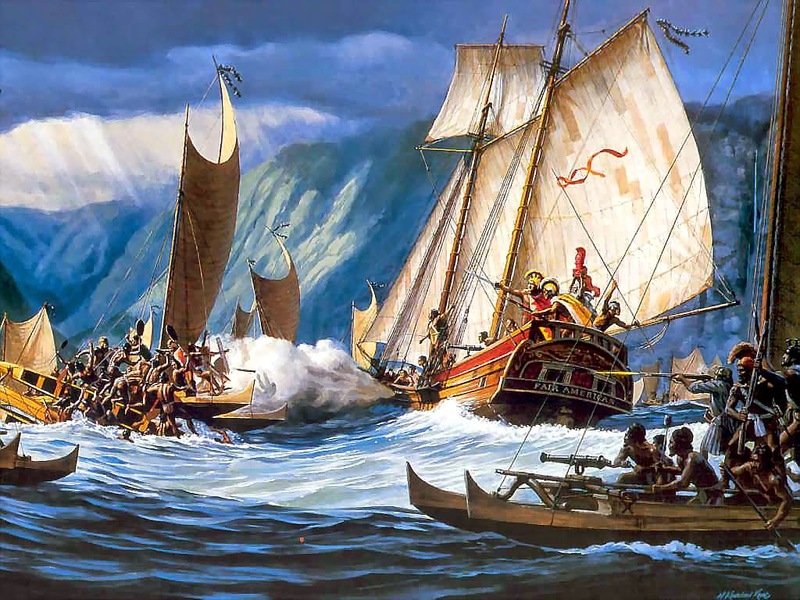 Then, in the late-1780s into 1790, Kamehameha conquered the Island of Hawai‘i and was pursuing conquest of Maui and eventually sought to conquer the rest of the archipelago. At that time, Maui’s King Kahekili and his eldest son and heir-apparent, Kalanikūpule, were carrying on war and conquered O‘ahu. After a battle in Hāna, Kamehameha landed at Kahului and then marched on to Wailuku, where Kalanikūpule waited for him. The ensuing battle was one of the hardest contested on Hawaiian record. The battle started in Wailuku and then headed up ‘l̄ao Valley – the Maui defenders being continually driven farther up the valley. Kamehameha ordered his army to advance, the Maui army met the invaders, but the Maui defenders were so powerless in the face of musketry that they retreated up the valley with the Kamehameha army following them. Kamehameha’s superiority in the number and use of the newly acquired weapons and canon (called Lopaka) from the ‘Fair American’ (used for the first time in battle, with the assistance from John Young and Isaac Davis) finally won the decisive battle at ‘Īao Valley. The Maui troops were completely annihilated, and it is said that the corpses of the slain were so many as to choke up the waters of the stream of ‘l̄ao – one of the names of the battle was “Kepaniwai” (the damming of the waters.) Kalanikūpule fled. Kamehameha left for Moloka‘i to secure it under his control, and there received Keōpūolani as his wife. Then, in 1795, Kamehameha moved on in his conquest of O‘ahu, meeting and defeating Kalanikūpule, at Nuʻuanu. From the present viewing area within the State Monument at ʻĪao (and in all the photos showing the valley,) you can see Kūkaʻemoku (more commonly called ‘Iao Needle.) From this perspective, Kūkaʻemoku appears to stick up from the valley floor like a ‘needle,’ thus its modern name. 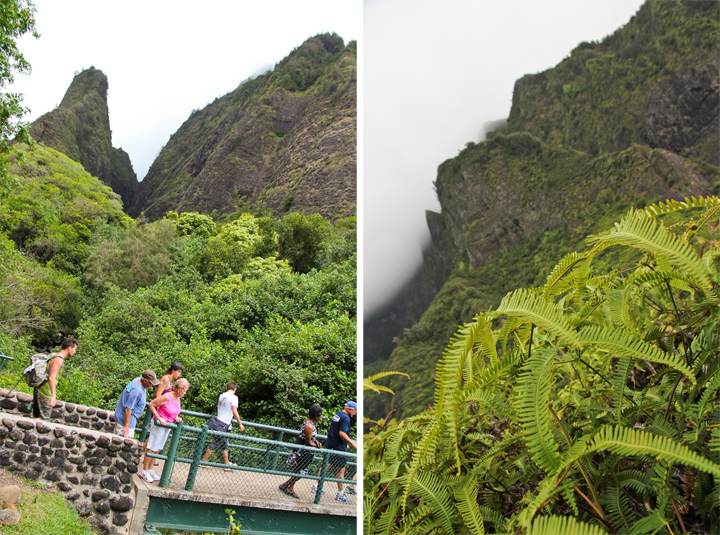 The photos show Kūkaʻemoku (“ʻĪao Needle”) – the viewing area perspective and a bit of a side view (alexinwanderland.) In addition, I have included other images in a folder of like name in the Photos section on my Facebook and Google+ pages. For native Hawaiians, it was important for the bones of a deceased person to complete their journey and return to the ground to impart their mana. Sometimes the bones of the dead were dug up out of the burial grounds to be used for arrows for rat shooting and for fishhooks, and the bones and bodies of the newly buried were dug up for food and bait for sharks. A few of the notable areas burial areas with secret burial caves include, ʻIao Valley, Pohukaina, Pali Kapu o Keōua and the reported cave burial of Kahekili and Kamehameha at Kaloko. 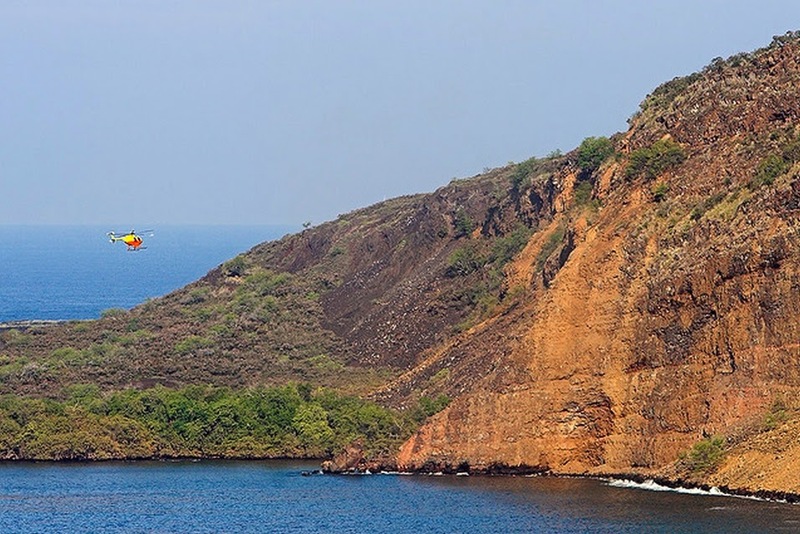 For centuries, high chiefs and navigators from across the archipelago were buried in secret, difficult-to-access sites in the steep valley walls of ʻIao on Maui. ‘Iao Valley became a “hallowed burying place for ancient chiefs” and is the first place mentioned in the historical legends as a place for the secret burials of high chiefs. Because this was sacred ground, commoners were not permitted to enter the valley, except for the Makahiki festival. Some suggest the last burial was in 1736, with the burial of King Kekaulike. The opening on the windward side on Kalaeoka‘o‘io faces toward Ka‘a‘awa is believed to be in the pali of Kanehoalani, between Kualoa and Ka‘a‘awa, and the second opening is at the spring Ka‘ahu‘ula-punawai. On the Kona side of the island the cave had three other openings, one at Hailikulamanu – near the lower side of the cave of Koleana in Moanalua—another in Kalihi, and another in Pu‘iwa. There was an opening at Waipahu, in Ewa, and another at Kahuku in Ko‘olauloa. Keōua (father of Kamehameha I) and Kalaniʻōpuʻu (aka Kaleiopuʻu & Kalaiopuʻu) were half-brothers, sons of Peleioholani. During the illness of Keōua, at his residence in Hilo, a messenger was sent to Kaʻū to notify Kalaniʻōpuʻu of his brother’s illness; he immediately started for Hilo. On arriving at Kailua great preparations were being made for the mourning ceremonies. Wailing, removing the teeth, shaving the head, etc, took place. 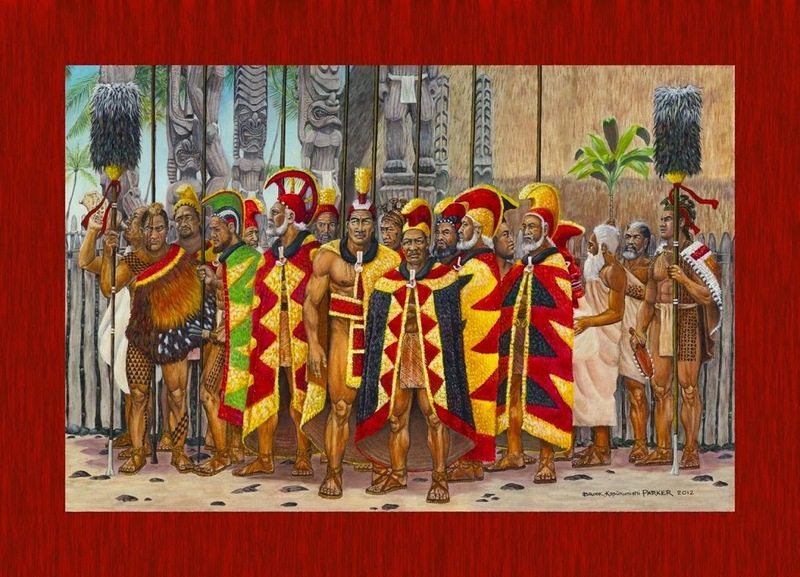 After these ceremonies Kalaniʻōpuʻu headed for Kaʻawaloa to await the remains of his brother Keōua from Hilo. Following his death, Kamehameha’s bones were supposedly transported by canoe from Kailua to Kaloko, where the bearers of the royal remains met the man in charge of the secret burial cave, and together they placed the bones in the same depository used for Kahekili. In 1887 King Kalākaua designated a man named Kapalu, who had guided him to a burial cave at Kaloko in which he supposedly beheld Kamehameha’s bones, as overseer and keeper of the “Royal Burial Ground” at Kaloko. The image shows Pali Kapu O Keōua (following the 2006 earthquakes – (PeteOrelup.)) In addition, I have added others similar images in a folder of like name in the Photos section on my Facebook and Google+ pages.